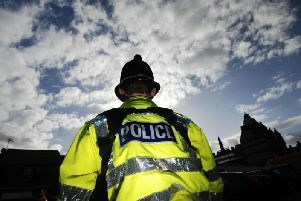 A BT team leader caught over twice the drink-drive limit in the early hours faces demotion, a court heard. Burnley magistrates were told how Peter James Doyle (33) stumbled out of his car and could barely stand up when police stopped him at 1-30am. They had followed him and seen him swerve into the middle of the road, cross the white line and then swerve back to the left. His speech was slurred and he smelled of alcohol. Officers had been alerted by members of the public who had seen the father-of-two driving erratically and trying to get out of the vehicle. Doyle blew 76 microgrammes of alcohol in 100 millilitres of breath when he was tested at the police station. The legal limit is 35. The defendant had no previous convictions. Miss Laura Heywood, defending, told the hearing: "Today, he is going to lose his good character and lose his licence. Both of these things are going to have large consequences for him." The lawyer said Doyle had to travel to sites across the country for his job. She continued: "He has been upfront with his employers and told them about this offence. They said hopefully they will be able to keep him on, but he may have to have a demotion." Miss Heywood said the defendant fully cooperated with police and there wasn't any accident. She added: "He earns just under £2,000 a month after tax. That is going to be reduced." Doyle, of Marsden Road, Burnley, admitted driving with excess alcohol on Higher Reedley Road in the town, on May 6th. He was fined £447, told to pay a £44 victim surcharge and £85 costs and was banned for 17 months.